It is time for another challenge at MAG. Oh my, and it is a hard one. You are to use only the cuts on page 33 of the CARS manual. I did not want to make the car because there are so many little pieces to handle and this week I wasn't brave enough to tackle it. Instead I saw flowers when I saw the tires. So I cut the tires and rounded the edges to make the flowers. What do you think? So please join us at MAG for a real challenge! What can you do with one page. Comments are welcome. Enjoy and GOD Bless. 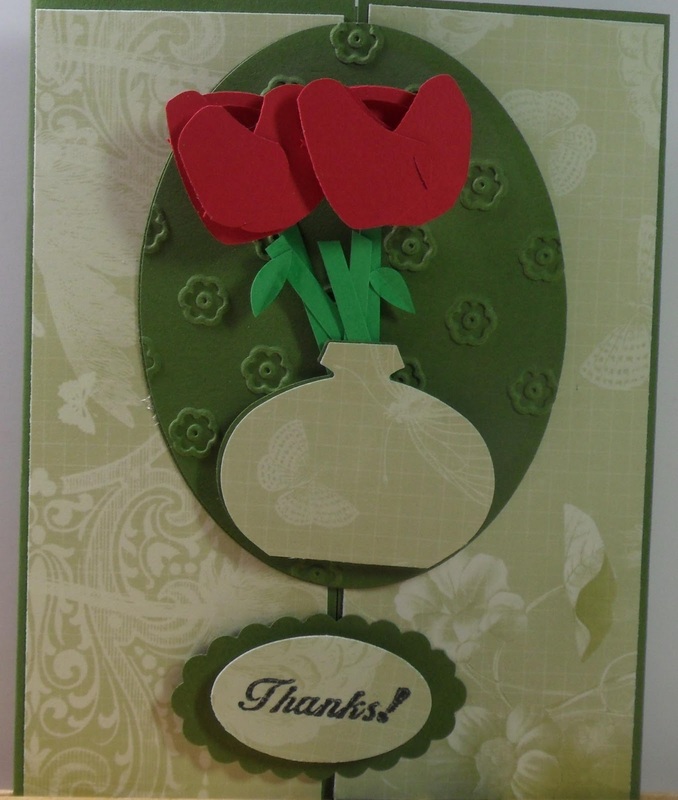 How creative, you did a great job on your card, very pretty! How very clever of you! 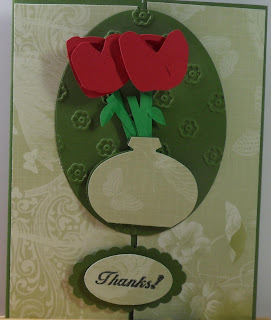 Such a cute card - and love that patterned paper and the embossing folder you used is just perfect! Awesome! Hey Gloria... your card is beautiful! I love how you turned the tires into flowers :) Absolutely gorgeous! Wow, how creative, super job! Great job with that page. I like the flowers, very creative! really cute.love the way you turned those tires into flowers.love the colors. Have to agree with Amy. Never would have "thunk" it. You did an awesome job. This is beautiful! 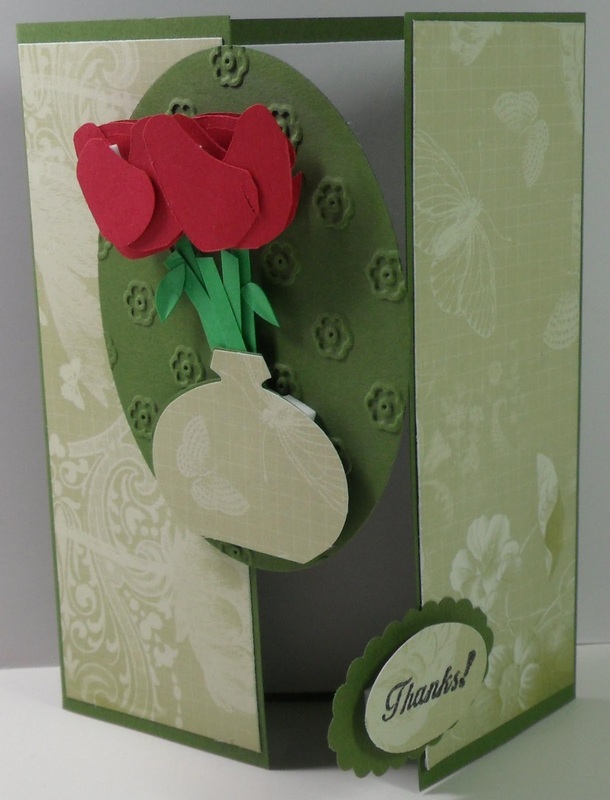 I love the background paper you used, the softness of the green is perfect! Great job, I would have never thought to use tires for flowers! I find the CARS cart a real challenge too! I too would have never thought of the tires for flowers. Very creative! I love these type of cards. They are very sophisticated looking. The pieces all fit together nicley and the colors are great. that is a very pretty card!!! This is beautiful I love the dimension!